The Ticwatch E is one of the most affordable Android Wear (now Wear OS) smartwatches available. 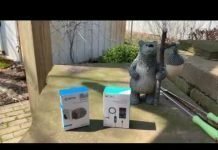 It has received quite a bit of press, most of it favorable for the amount of features it packs into such an affordable price tag. 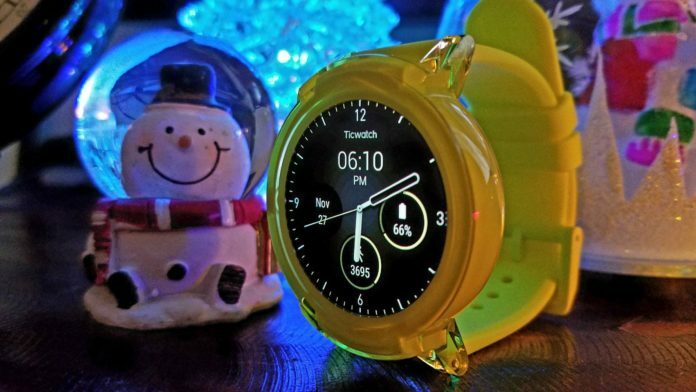 As a previous Ticwatch 2 owner I was already familiar with Mobvoi and had grown very fond of my Ticwatch 2 which runs Mobvoi’s own operating system Ticwear OS. Integration with Great Third-Party Apps for Hiking, Running, Music Streaming, etc. 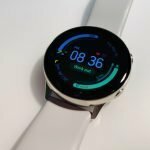 Mobvoi, the maker of the Ticwatch E also has the Ticwatch S, which also runs Wear OS but has its’ built-in GPS in its’ strap. This is supposed to help with better GPS accuracy. 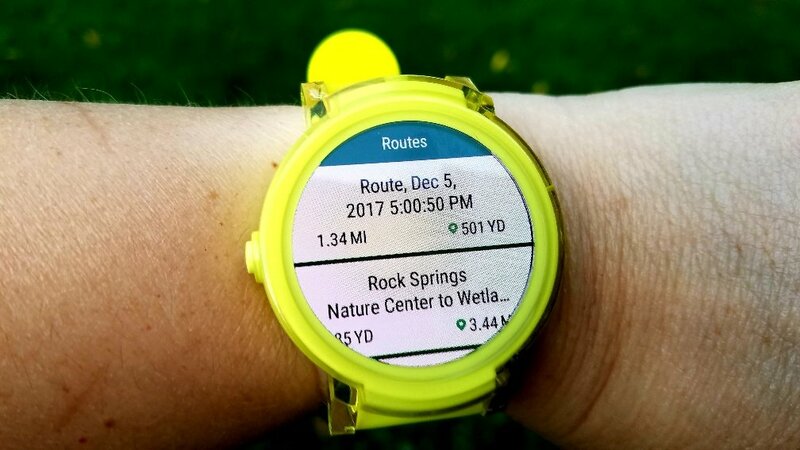 The Ticwatch E also has a built-in GPS but it is inside the watch and also requires being connected to your phone. 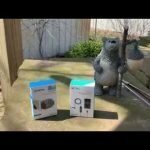 This may also be true for the Ticwatch S available on Amazon. Other smartwatches from Mobvoi include the Ticwatch Active and Ticwatch Classic which are often referred to as Ticwatch 2. In addition to smartwatches, Mobvoi has recently expanded into other products including the TicHome Mini, a smart speaker similar to the Amazon Echo Dot also available on Amazon, of course, and will soon be releasing Bluetooth ear pods and a new smartwatch, the Ticwatch Pro. The biggest selling point for the Ticwatch E is certainly its’ price. Compared to other Wear OS smartwatches it is probably the most affordable. 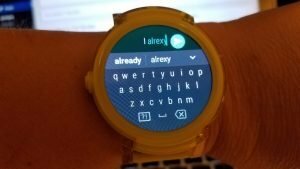 By the way, Android Wear was renamed to Wear OS, so you’ll see those two terms used interchangeably in the article but they mean the same thing. 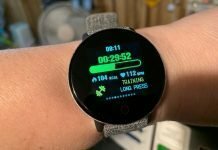 Besides affordability, the Ticwatch E also supports fitness activities well and even some of the more expensive Wear OS watches aren’t so good at that. 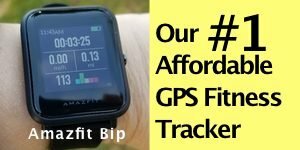 With a built-in heart rate sensor, GPS, and its own health apps, as well as support for many third-party fitness apps, Ticwatch stands a little higher than the competition. In this review I’ll be covering some of the basics and some of the apps that I use most frequently. Replying to text messages by voice is much easier than trying to type out a message on a small screen, and is a better option than only having a handful of canned replies to send back. 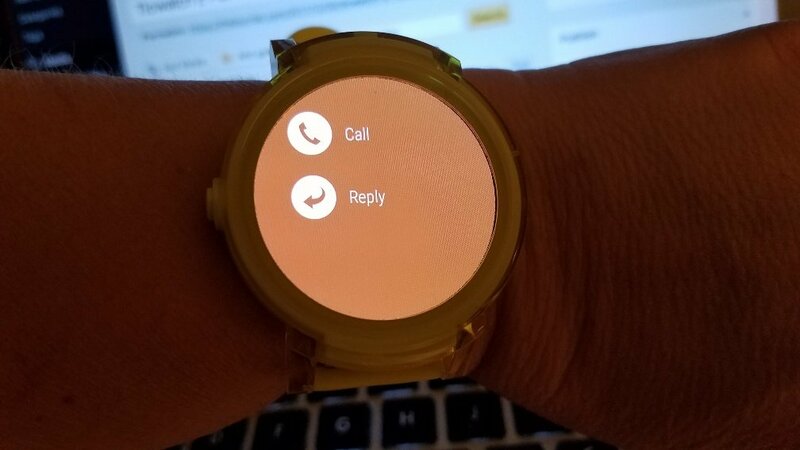 The following photos show how replying to text messages works on the Ticwatch E. Click on the photos for a larger view. The keyboard is easy to use. As long is you get remotely close to the word you’re trying to type, it will show word suggestions. Very handy and necessary on a small keyboard! I also prefer to have a speaker on my smartwatch. Obviously, that enables me to make and receive phone calls through the watch but it’s also good for some of the fitness and navigational apps that I use. It’s helpful to have audio prompts when it isn’t practical to look at the watch face for directions or information. At first, battery life was disappointing. The specs of the watch claim that the Ticwatch E can last 1.5 – 2 days but some days it was draining really quick on me. I could literally watch the percentage decrease while glancing at the watch face. And speaking of watch faces, I’ve discovered that might be the most important thing to consider for the battery life on the watch. When I recorded the video review, I was still experiencing kinda cruddy battery life that sometimes didn’t even get me through 12 hours. Now that I’ve switched to a different watch face, I have been able to squeak out 24 hours fairly easily. 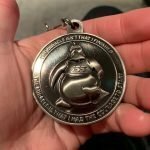 That’s with a workout of 30-45 minutes each day, replying to a few text messages, receiving several notifications, and answering a couple of phone calls through the watch. So, I’m using the watch as I normally would. Btw., I’m using a watchface called “Move” (see pic below) from a watch face package available through Google Play called Moods Android Wear Watch Faces. I’ve only seen a 2-3% battery decrease per hour with this watch face. With other watch faces it was draining closer to 10% or more per hour. Even some of the stock watch faces that come with the Ticwatch E appear to be battery hogs so if you’re having battery drain issues try out some different watch faces and see if that helps. So, as you can see from above the watch got me through the day without me having to worry about the battery. I used the watch as I normally would. Wifi was on as well as tilt-to-wake for the display. The “Okay Google” command for Google Assistant was also enabled. One day I was experiencing ridiculously fast battery drain and I didn’t realize that Google Maps navigation was still running in the background. 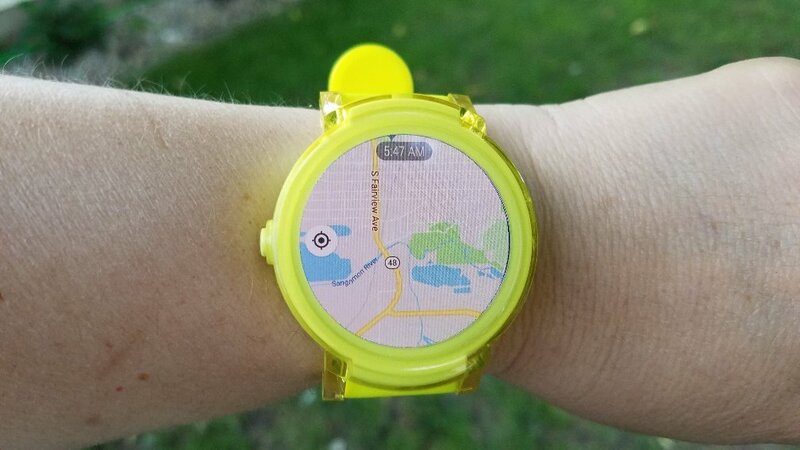 I had been testing out Google Maps for the review and thought I had closed out of it but obviously I didn’t because a day later, both my watch and phone were draining 20-30% an hour until I discovered the issue. Whoops! Another time I unknowingly left a Google Fit workout continue for a few hours and obviously that affected the battery. I don’t know if draining and recharging the watch several times, as recommended by the manufacturer helps or not. It might have helped some but using a different watch face certainly made all the difference for me. 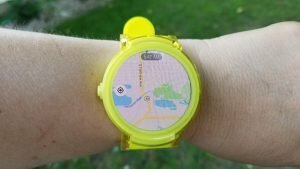 Both the Ticwatch E and S models are advertised as having improved GPS sensors over the Ticwatch 2 and I was eager to test out that claim. The S is supposed to have a better GPS sensor than the E due to a larger sensor/antenna built into the band itself. I don’t have the S to test but the E does seem to have much better GPS accuracy and reliability over the Ticwatch 2 but only if I use it in conjunction with my phone’s GPS. 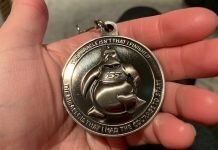 The good news is that I have had very good results from the GPS, during my tests is that it has been fast to connect, remains connected, and is accurate, especially when using MapMyHike and other hiking apps I enjoy using. Another thing I was very much interested in seeing improved on the Ticwatch E over the Ticwatch 2 was the heart rate sensor. 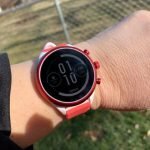 My experience with the Ticwatch 2 was that the heart rate sensor could be a bit erratic during workouts. So far, I am seeing much better results from the E. Once in a while it will drop off (see exercise bike workout below) but not nearly as often as I was seeing with the 2. For most of my workouts it kept up with the chest heart rate monitor well, even during an elliptical workout. The heart rate sensor hasn’t been as accurate during my hikes. 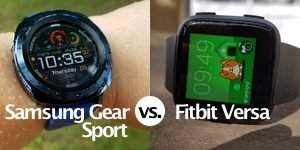 This has been my experience with several other fitness trackers as well (Fitbit Blaze, Samsung Gear Fit 2, etc). As expected the HR sensor struggled during weight lifting and exercises that involved flexing of my wrists. That’s typical of wrist HR sensors, although the Fitbit Versa is the first watch I’ve tested that actually did pretty good during such workouts. 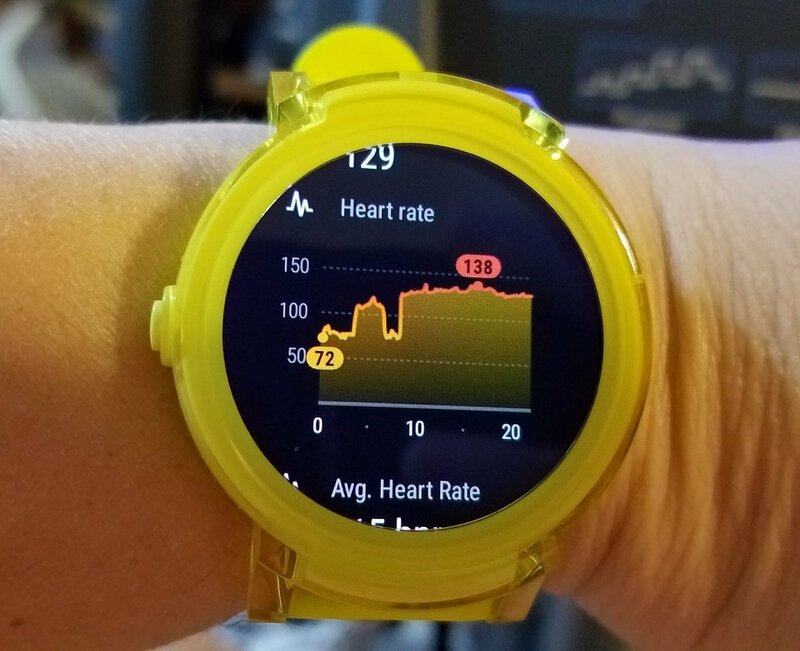 Overall, I would give a thumbs-up to the heart rate sensor of the Ticwatch E because wrist HR sensors inherently have their limitations but this one did well when I would expect it to. 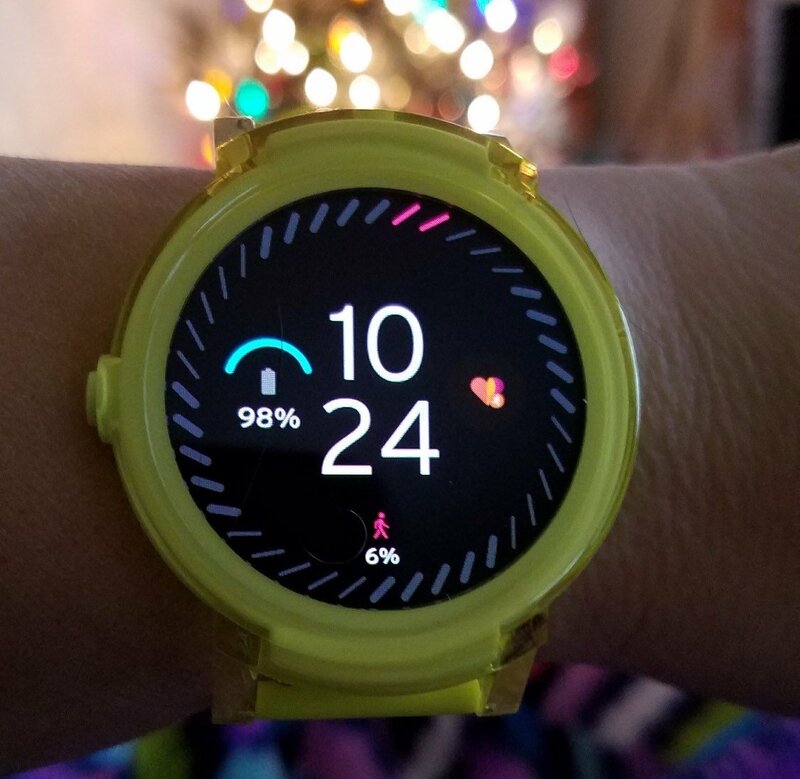 However, since this is a watch that runs Wear OS, you also have access to Google Fit™ which supports a huge variety of physical activities and several other fitness apps like Endomondo, MapMyHike, MapMyRun, Strava, Runtastic, Runkeeper, and others. 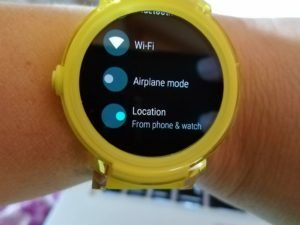 When I first got the watch I didn’t care for the overall experience of navigating through the Android Wear operating system. I was used to Ticwear on the Ticwatch 2 which is extremely intuitive and responsive. I still prefer it for those reasons but having Android Wear allows me to extend the capabilities of the watch so much more. I’m loving having different hiking and fitness apps on the watch. View Ranger is an app I would highly recommend if you enjoy hiking. 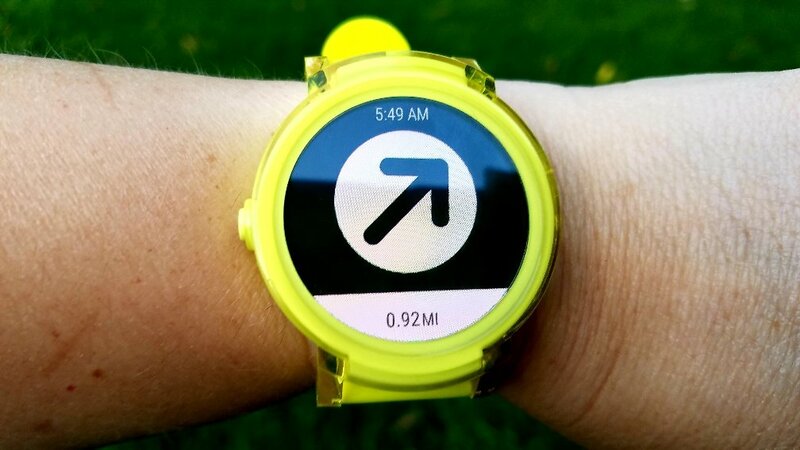 With it you can create routes, have them downloaded to the watch, and navigational prompts will display as you hike. This is a paid third-party app but reasonably priced. I’m also enjoying having Google Assistant and Google Maps on my wrist. I might not use those features every day but they are nice to have, especially when traveling in unfamiliar areas. 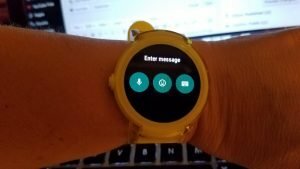 I think it was a wise move to adopt Android Wear over Ticwear, even though I would have liked to had seen more of the original Ticwear OS integrated into the experience, though luckily the fitness features of the Ticwatch 2 are included in the E and S.
Still, I’m missing the widgets and settings I could easily get to by swiping down on the screen on the Ticwatch 2 such as the weather, health data, music player, calendar, and other general settings. 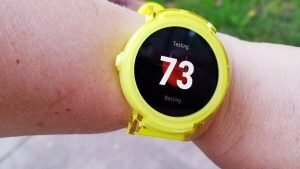 The Ticwatch 2 also had several settings to help improve battery life that are missing from the E. I’d love to see those features brought back. Overall, I prefer the build quality of the Ticwatch 2 over the E but the E has grown on me. It’s very comfortable and lightweight and a fun watch to wear but it’s also practical throughout the day. It’s been a very stable watch for me. Update: Some battery saving features have been added since I first wrote this review and the Ticwatch Pro, the replacement of the Ticwatch 2 is set to be released in the summer of 2018. The Ticwatch E also supports many of the most the popular music streaming audio apps such as Pandora, iHeartRadio, Shazam, Music Player for Wear for offline listening, as well as supporting your Google Play music. Of course, you’ll also be able to pair up your Bluetooth headphones. Overall, I am enjoying the Ticwatch E. The software has been very stable. Bluetooth connections are strong and reconnect reliably. I am using a Samsung Galaxy S7 with the watch (I’ll probably be upgrading to S9 next year) so I can’t speak for iOS users but for me it has paired up very nicely with my phone. 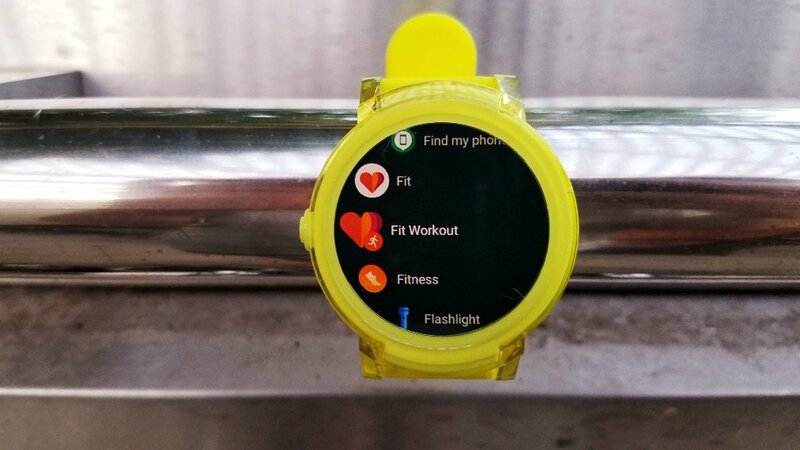 Workouts sync properly and quickly with both the Ticwatch app and Google Fit. Google Fit then transfers my workouts to MyFitnessPal. (I’m surprised there isn’t a MyFitnessPal Android Wear app yet…) Other Android Wear apps that I have used on the watch have also worked without a glitch. Notifications have worked very well and I’m able to reply to them, as well as answer phone calls. The speaker is a little on the quiet side but it’s okay. I believe that replying to messages is only available for Android phones at the moment, so if you have an iPhone keep that in mind. 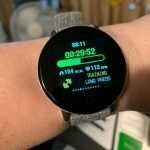 So, yes I would definitely recommend the Ticwatch E to anyone looking for an affordable Android Wear smartwatch/fitness tracker. The price of the watch makes it a no-brainer. With Android Wear (now Wear OS) you can turn the watch into what you want it to be. For me, I’ll have lots of hiking and fitness apps; others may prefer news or social media apps. I do wish the battery lasted a full two days. That’s my only major gripe. 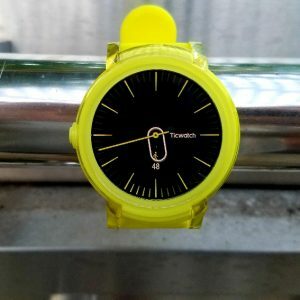 The Ticwatch E is probably the most affordable Android Wear (Wear OS) smartwatche on the market right now. It packs all the features I look for in a smartwatch such as a HR sensor, GPS, mic & speaker, and of course the ability to run some of my favorite Android apps on my wrist. It's just a fun watch to have and useful. I would have preferred a higher waterproof rating and a more premium build but it's well worth the money for all that you get.